After 25 years as Managing Director of Biocatalysts Ltd, Stuart West steps down and takes up a role as Non-Executive Director. Stuart’s drive and commitment to the business has seen the company grow into a world-renowned speciality enzyme solution provider. Rod Sears-Black has now taken up the position of Managing Director. Stuart has guided Biocatalysts through many significant changes, including the move to a purpose-built manufacturing facility in 2004, the establishment of US subsidiary Biocatalysts Inc. in 2011 and the opening of a new intracellular enzyme production plant in 2013. As the business continued to evolve, so did the technology with the introduction of many advanced technologies. This includes the launch of MetXtra™ in 2017, a software platform for the rational and rapid identification of completely novel enzymes from large metagenomic DNA sequence libraries. His legacy continues with the building of an extension to the factory during 2018, giving Biocatalysts the ability to continue its growth and expansion into new markets. 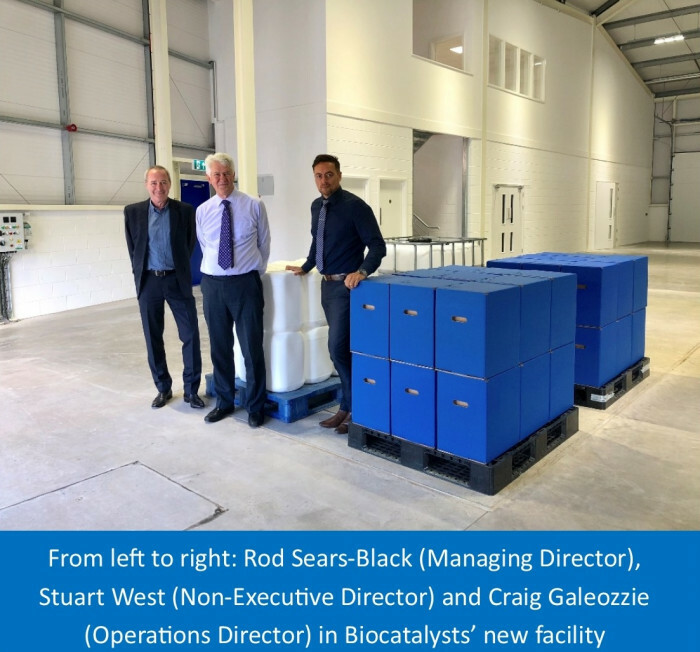 In the summer of 2018, Biocatalysts celebrated its 35th year by investing in a 11,000 sq ft extension to the existing building in Nantgarw, South Wales. This £6.5M project continues during 2019 with the installation of new fermentation equipment, which Rod will oversee. When complete, in the middle of 2019, this new facility will increase Biocatalysts’ fermentation capacity more than 10 fold and establish the company as a manufacturer on a larger commercial scale entirely. Alongside this very important expansion, the company will be investing in their existing manufacturing processes, ensuring that they remain at the forefront of manufacturers in this field.